The leaders of HMI are convinced that the most effective way to prepare the Hungarian Christians for both present and future tasks is to provide them with basic Bible study materials and to equip them with the resources necessary to establish and carry out their ministry. After several years of intensive culminating effort, Joseph Baranyi published the first-ever complete Concordance to the Hungarian Karoli Bible (equivalent to the King James Version, which it predates slightly) in 1995. This particular work was the first Exhaustive Concordance to the most widely read Hungarian Bible, namely the Karoli Bible. It was reprinted several times and remains in high demand, being the only such work in the Hungarian language. In 2001, Veritas Publishers, which is closely affiliated with Hungarian Ministries International presided over by Joseph Baranyi, published the Hungarian edition of the NIV Study Bible, which became another best-selling Bible study tool. In this endeavor we have compiled a team of twenty-six professionals including theologians, linguists, and literary scientists who were or have since become professors or leaders of theological seminaries and Bible societies. Following this success, Veritas commenced probably their most significant project: the revision of the archaic text of the Hungarian Karoli Bible, sometimes referred to as the “Hungarian KJV.” Veritas released their edition of the New Testament in 2007, and held their readers in anticipation until the complete Bible edition was printed in 2011. Before a year had passed, every copy of this edition had flown off the shelves and in the autumn of 2012, a second printing of a new larger edition was released. This work was also made globally available upon the creation of an edition specifically for smart phone and Internet users. Veritas digitalized versions are already overwhelmingly dominating the market. 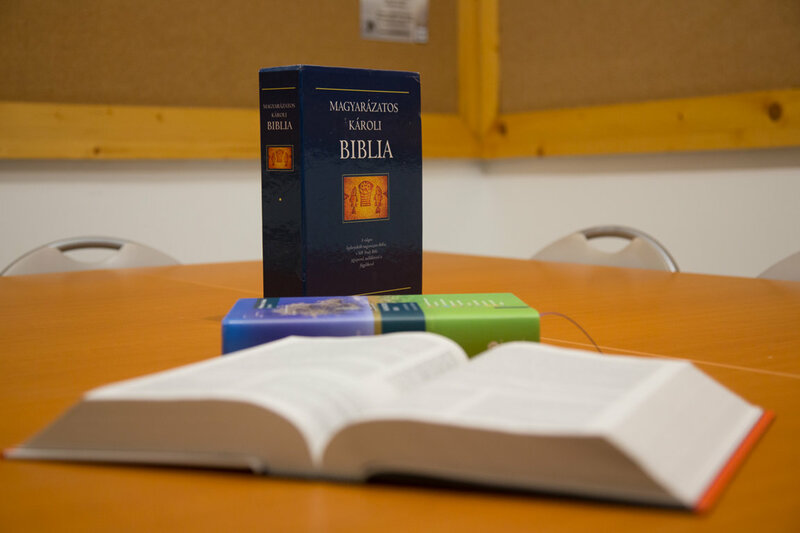 In 2014 the Hungarian edition of the NIV Student Bible was published, preparing the way for the Hungarian edition of the ESV Study Bible, which should be published in 2017.